Download the poster for the study. The full study will be published at a later date. As dental imaging continues to evolve, questions regarding reduced doses and patient safety are set to take on an ever increasing role. According to the well-known ALARA principle, imaging doses must be kept as low as reasonably achievable; Patients must not be exposed to a higher dosage than needed to acquire images of sufficient diagnostic quality. The findings in the study indicate that reduced patient doses can be achieved without a loss in diagnostic quality by using the Planmeca Ultra Low Dose protocol. Dr. Ludlow is a professor in the radiology section of the Department of Diagnostic Sciences and General Dentistry at the University of North Carolina School of Dentistry. He is renowned for his extensive radiology research. Planmeca Group's product range covers high-technology dental care equipment, world-class 2D and 3D imaging devices, comprehensive CAD/CAM and software solutions, mammography systems as well as dental instruments, supplies and services. We operate in over 120 countries employing nearly 2,700 people worldwide. Our headquarters and production facilities are located in Helsinki, Finland. The Group's turnover in 2014 was MEUR 740. Prior to publication, it must be approved by Planmeca Group. 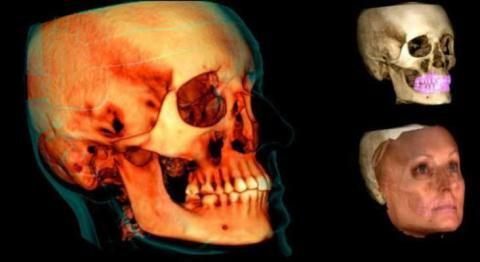 Planmeca Ultra Low Dose™ is the world’s leading method for acquiring CBCT images at low effective patient doses without a statistical reduction in image quality. It allows clinicians to gather more information than from standard 2D panoramic images at an equivalent or even lower patient dose. Planmeca ProMax® 3D imaging units offer a unique Planmeca Ultra Low Dose™(ULD) imaging protocol that enables CBCT imaging with an even lower patient radiation dose than standard 2D panoramic imaging. Using the protocol reduces the effective patient dose by an average of 77%. Here are some of the most frequently asked questions about Planmeca ULD.